It’s easy to assume that car rental companies will be overjoyed at having their cars returned to them early. It’s also easy to assume that returning your vehicle a day or two after the agreed upon date with cause you hundreds of dollars in late fees. Neither is the case, but that doesn’t mean you can return your rental car whenever you please. Here’s why it’s best for everyone if you returned your rental vehicle on time. 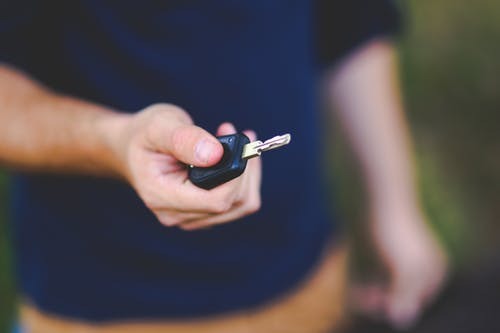 When you rent a car, you’re entering into a contractual agreement stating you will rent the vehicle for a certain amount of days or weeks before returning it on the specified date. For a much smaller fee than what you’d pay if you bought a car yourself, you’ll have to opportunity to drive around town in a nice, well taken care of, vehicle. But remember, you’re driving a vehicle that doesn’t belong to you financially and you’ll be on the hook for any and all damages done to the vehicle while it’s in your care. Returning your car rental early or late breaks the terms of the contract originally drawn and can cost you more money as the base price changes. It’s easy to assume that a rental car company would love to have their cars back earlier than they’d agreed so they can rent it out again quickly. But that’s not the case. Returning a rental early would allow the company to rent it out for those remaining days and it would result in depreciation. Car rental companies have a daily expense per car, per day it’s in their care. Returning a vehicle late could prevent the company from being able to rent to the next customer. This is particularly true regarding specialty vehicles that may be in high demand or that the company doesn’t have many of. Late rentals can also result in the rental company having to compensate the next customer until the vehicle is returned or cleaned. Late fees might also be applied, the amount determined by the specific car rental company. To change the date in which you wish to return your car rental means an alteration needs to be made to your contract. This can result in additional fees being applied. If you want to extend your rental agreement, it might benefit you to just return the vehicle on the agreed upon date and sign a new rental agreement for however long you desire. At Access Rent a Car, we’re committed to making rental cars accessible to all Vancouver, British Columbia residents and visitors. We offer our customer high-quality vehicles and great customer service at a competitive price. Whatever the case may be, if you’re a tourist or on a business trip, we’ll have the right vehicle for you. Our energetic team doesn’t only offer cars for rent, we also have airport delivery and dropoff, cruise ship pickups, one-way rentals, chauffeur service and more. Call us for more information or visit our website to book with us.